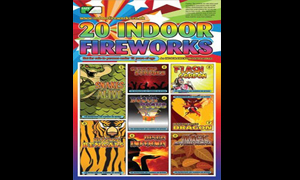 As part of our spectacular summer sale we are offering these amazing indoor fireworks at half price - hurry limited stock - not many left !! On ignition the tablet will continuously expand into a slithering snake. Watch in awe as these baby slithering serpents hiss and swirl their way into adult man eaters. These Bengal matches burn long and bright and each pack contains 2 x red and two x green flame effects. 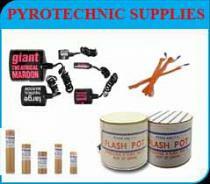 Exciting orange tinged fast strobing flash pellets. Sizzling Strobes flash and flash and sizzle away. 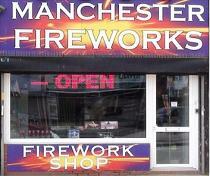 Disco Inferno pellets glow with a blue tinged flame before bursting into a bright flash over and over and over. You can't beat a Flash Harry. Each tablet burns bright before bursting into swirling green flashes. Puff comes to life and he's furious! Ignite his smoking nostrils of terror and watch him puff away. Specially designed for indoor use these sparklers will add a sparkle to your party and are ideal for cakes. A great way to keep kids entertained at a family meal of get together.